Echo and Narcissus. 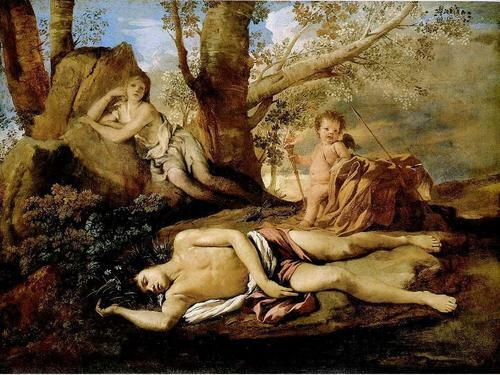 Echo and Narcissus, by Nicolas Poussin. c.1627-28. Oil on canvas. Louvre, Paris, France. HD Wallpaper and background images in the Greek Mythology club tagged: greek mythology echo narcissus.